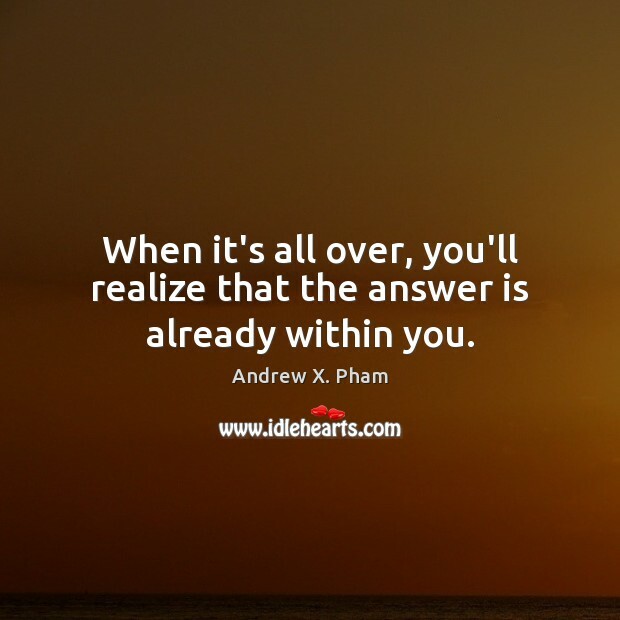 Enjoy the best inspirational, motivational, positive, funny and famous quotes by Andrew X. Pham. Use words and picture quotations to push forward and inspire you keep going in life! Nobody gives way to anybody. Everyone just angles, points, dives directly toward his destination, pretending it is an all-or-nothing gamble. People glare at one another and fight for maneuvering space. All parties are equally determined to get the right-of-way--insist on it. They swerve away at the last possible moment, giving scant inches to spare. The victor goes forwards, no time for a victory grin, already engaging in another contest of will. 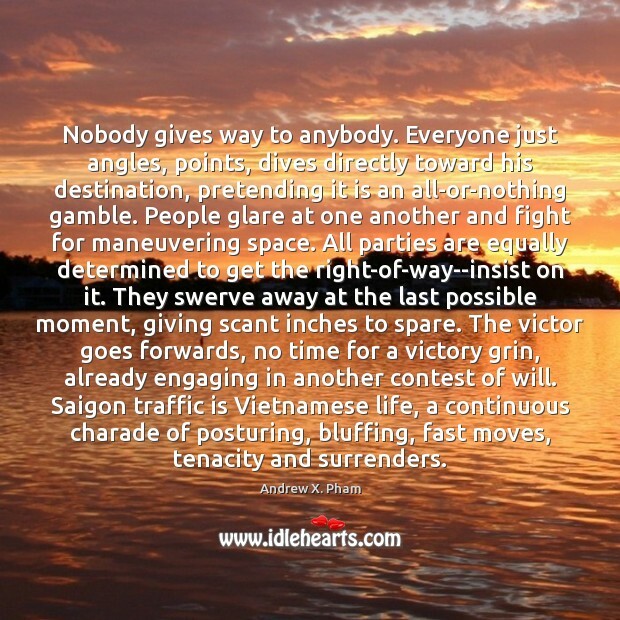 Saigon traffic is Vietnamese life, a continuous charade of posturing, bluffing, fast moves, tenacity and surrenders. 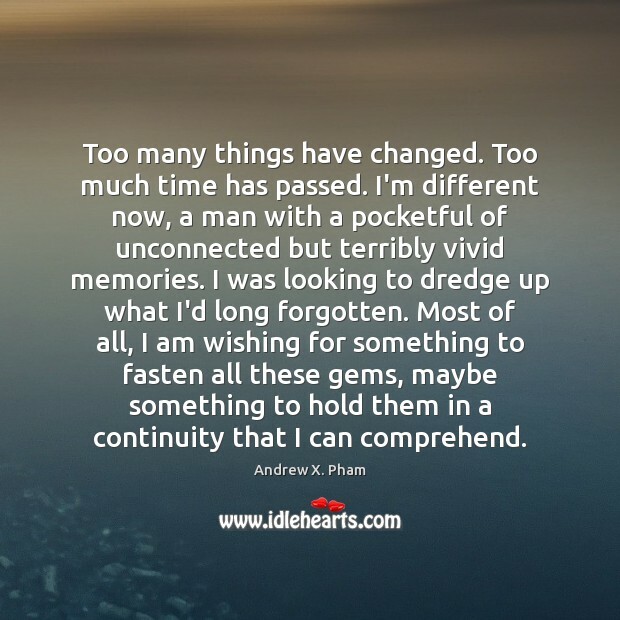 Too many things have changed. Too much time has passed. 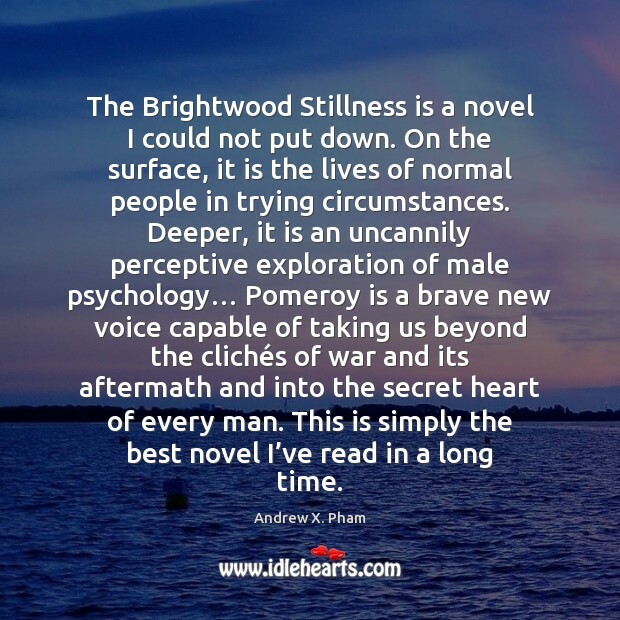 I'm different now, a man with a pocketful of unconnected but terribly vivid memories. I was looking to dredge up what I'd long forgotten. Most of all, I am wishing for something to fasten all these gems, maybe something to hold them in a continuity that I can comprehend. 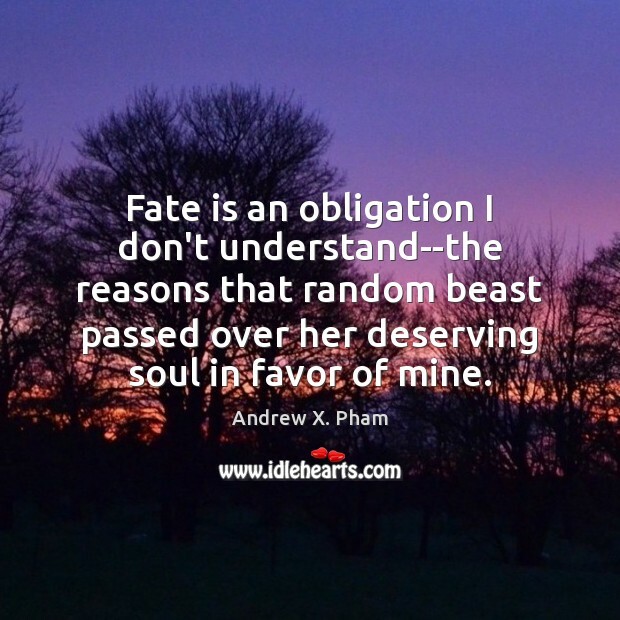 Fate is an obligation I don't understand--the reasons that random beast passed over her deserving soul in favor of mine.